As more homeowners install rooftop-solar, new issues are arising. Too much solar is putting a strain on the local electric grids. 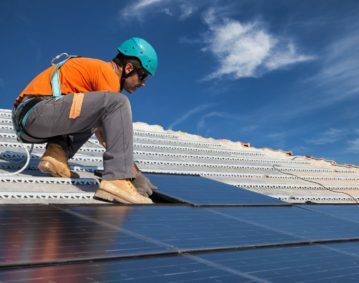 Rooftop solar panels push unused power onto the grid during the day when no one is home and power consumption is lowest, the grid is forced to waste this energy whenever consumption falls below the base load supplied by local power plants. This is a waste of energy and utility payers’ money. Net Metering policy is attractive in theory, but terrible in practice. Under many states’ net metering policies, rooftop solar costumers get to displace power from the utility company, and if the homeowner has more power than needed, the utility company is required to purchase the excess power at a retail price. 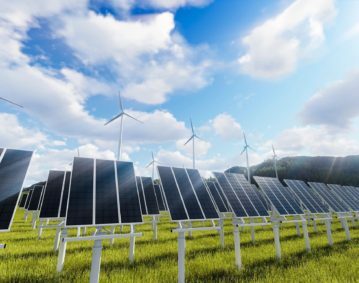 By being forced to buy this energy at the high retail price, utilities must shift the cost of grid maintenance and other costs to non-solar customers. Forcing utilities o buy overpriced rooftop electricity results in higher costs on non-solar grid users and taxpayers. The Solar industry has pushed net metering on utilities at absurdly electric rates. It is a policy that is touted to help Americans have a lower electrical cost by going solar, but raises the rates on non-solar users. We’ve all heard about “shop local” and “get your food from local farmers, not distant corporate farms.” Lots of people have apple trees in their backyards. Often they can’t begin to eat or give away all the apples. In the meantime, big supermarkets sell corporate apples for one dollar a pound and up. I propose that people with backyard apples be able to take them to the supermarket and sell them to the supermarket for the same price at which the supermarket is selling apples. Furthermore, they should be able to take them at any time and receive payment. If the store gets too many local apples, it can reduce its purchase of corporate apples. My apple proposal may seem ill advised, but that is exactly how rooftop solar power works. The homeowner gets to displace power from the power company, and if the homeowner has more power than he needs, the power company is obligated to purchase it, often for the same retail price at which it sells electricity. That policy is called net metering. In order to accommodate the homeowner’s electric power, the utility has to throttle down some other power plant that produces power at a lower wholesale price. The exact arrangements for accepting rooftop solar vary by jurisdiction. In some places, net metering is restricted in one way or another. A large-scale natural gas-generating plant can supply electricity for around 6 cents per kilowatt-hour. Rooftop solar electricity costs, without subsidies, around 30 cents per kilowatt-hour, or five times as much. Average retail rates for electricity in most places are between 8 cents and 16 cents per kilowatt-hour. Yet, paradoxically, the homeowner can often reduce this electric bill by installing rooftop solar. It is actually worse than forcing the power company to take 30-cent electricity that it could get from a natural gas plant for 6 cents. When the company throttles down a natural gas plant to make room for rooftop electricity, it is not saving six cents, because it already has paid for the gas plant. All it saves is the marginal fuel that is saved when the plant is throttled down to make room for the rooftop electricity. The saving in fuel is about 2 cents per kilowatt-hour. So 30-cent electricity displaces grid electricity and saves two cents. But where does the other 28 cents come from? Who pays for that? Part is paid for by the federal 30% subsidy for solar energy construction cost. That takes care of about nine cents per kilowatt-hour. That leaves the homeowner with electricity costing him 21 cents per kilowatt-hour. The cost comes from his monthly payments on the loan to build the solar system divided by the number of kilowatt-hours generated that month. If he pays cash for the solar system, then the monthly cost is his lost investment return on the cash he paid. If he lives in a jurisdiction where electricity costs 11 cents, then he is losing 10 cents for each kilowatt-hour generated (21 cents minus 11 cents). But if he lives in California, where larger home users of electricity pay 53 cents per kilowatt-hour if they consume beyond a baseline limit, he saves 32 cents for each kilowatt-hour of solar electricity generated. In that case, the power company is losing kilowatt-hours it could have sold for 53 cents. Other customers have to pay more to make up the lost revenue. From the standpoint of society, rooftop solar substitutes 30-cent electricity in order to save two cents. If the homeowner is at least breaking even, as he usually is, he hasn’t lost anything due to the substitution. The money to pay for the 30-cent electricity comes from the taxpayer-provided subsidy and revenue that is no longer paid to the power company. The taxpayers and power company pay for 30-cent electricity that could have been obtained for two cents by burning a little more natural gas. If the homeowner makes a profit on the solar power, then the burden on everyone else is even greater. Since the power company is guaranteed a rate of return, or at least has to break even, rates have to be raised enough to pay for the overpriced rooftop electricity. The burden falls on society to pay for the scheme. The purveyors of rooftop solar, crackpot environmentalists and rooftop solar-owners, are happy. Everyone else is screwed. Here is an example of rooftop solar that costs 30 cents a kilowatt-hour. A 5-kilowatt rooftop system costs about $21,000 installed. It will generate 7,000 kilowatt-hours per year. If it is financed over 20 years at 8% interest, the annual payment will be $2,139. The cost per kilowatt-hour is $2,139/7,000 = $0.306, or 30.6 cents per kilowatt-hour. Of course, costs and interest rates vary, as does sunshine. If you think 8% is too high for the interest rate, ask yourself if you would loan your neighbor $21,000 for 20 years for less. Rooftop solar is expensive compared to utility-scale solar, because it is a small custom installation. The orientation and slope of the house roof may be less than ideal. Large-scale utility solar, in contrast, can be as cheap as seven cents per kilowatt-hour. An increasing problem, already present in California, is too much solar. 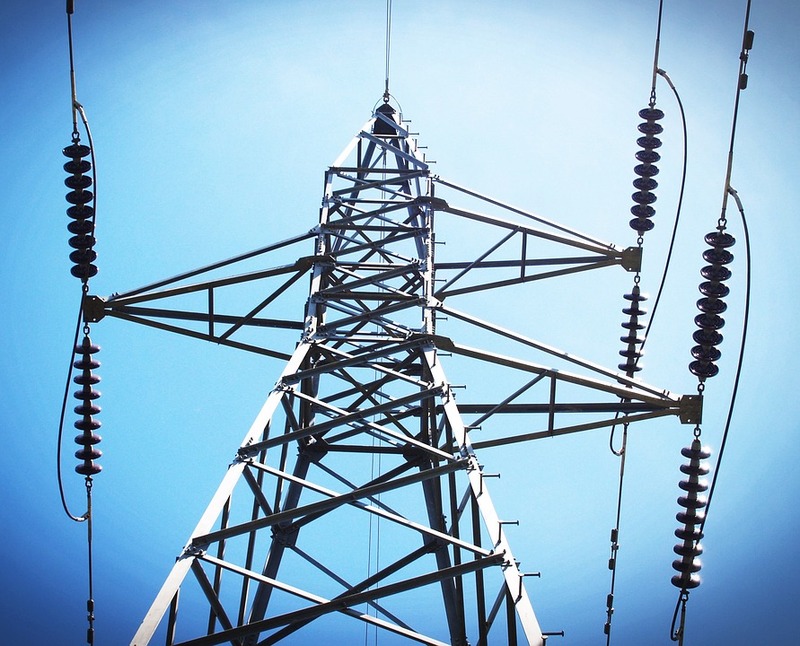 The electric grid has a combination of base load power and additional peaking loads. The base load runs 24 hours a day and is not easy to throttle down. Solar power peaks around midday. If there is so much solar as to threaten the base generation, solar has to be curtailed. In California, this happens in the spring, when sunshine is plentiful but the air-conditioning load is not yet large. When solar dies, in the hour before sunset, peak power consumption is often being reached. In that case, solar aggravates the rate at which the rest of the grid has to increase power output to handle the early evening peak. If the homeowner is at least breaking even, he is probably generating surplus electricity during the middle of the day, adding more solar during the critical midday period and increasing the size of the sudden surge in power demand when the sun fades. Utility-scale solar costing seven cents is a big waste of money. Rooftop solar costing 30 cents is insane. 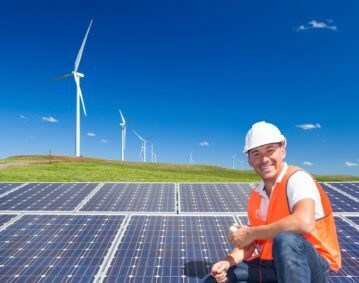 Special interests – the solar industry and environmentalist crackpots – have convinced legislatures and public utility commissions to stack the deck with net metering and absurdly high tiered electric rates. The result is to make it profitable for homeowners to invest in what otherwise would be very expensive electricity. Society as a whole pays for the economic waste, amounting typically to 28 cents per kilowatt-hour of rooftop electricity. It is foolish to justify rooftop solar on the grounds of reducing CO2 emissions, because if you work the numbers, it costs about $800 to avoid emitting a metric ton of CO2 using rooftop solar. You can buy a carbon offset that does the same thing for $10. Reducing CO2 emissions is dubious in any case. Global warming-climate change ideology is struggling because warming is not remotely meeting expectations. Believers are starting to lose their faith in global warming. It is dawning on them that global warming is another scary disaster in a long parade of scary disasters that never materialize but make money for interested parties. Fewer people want to waste billions on a quixotic quest for renewable power. The most prominent remaining global warming believers are now advocating nuclear power as the best means of reducing CO2 emissions. CO2 is plant food that makes plants grow better with less water. It greens deserts and increases agricultural productivity. Bring it on.